The problem with lateral cabinets is that they don’t offer many storage options, and they take up a significant amount of space. The only good thing about them is that you can lock them up to secure stored files. Unlike lateral cabinets, open shelving offers more flexibility for storing items other than files, and they utilize space much better. Too bad there’s no way to secure stored items in open shelving without adding cumbersome hinged doors that eat up space in front of the them. If you’re looking for security, flexibility and space savings, where can you turn? To StoreMoreStore. Our tambour door cabinets offer all of these features, all in one cabinet. (check out all of our available tambour door cabinet options). 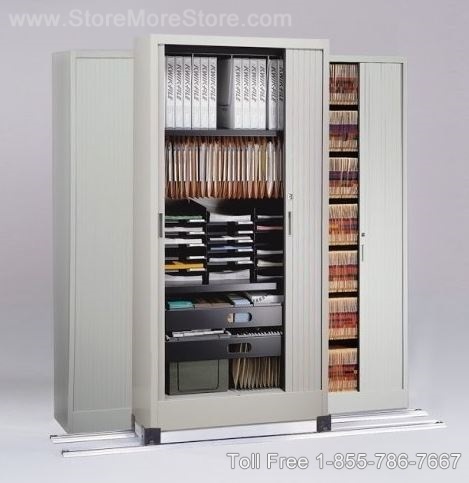 Tambour door cabinets are stylish multifunctional storage cabinets that store all types of materials – files, books, binders, computer media, and much more. The tambour doors slide into the side walls of the cabinet to avoid intruding into the room’s space. This way you get all the storage benefits of open shelving without any of the usual drawbacks. The tambour door cabinets are available in three widths (36″, 42″ and 47-1/4″) and three heights (38″, 61-1/2″ and 83″). All cabinets are 17-3/4″ deep. Also, interior shelves come with a backstop that adjusts to 14-3/4″, 12-1/4″, or 11″ to match the depth of the materials you are storing. 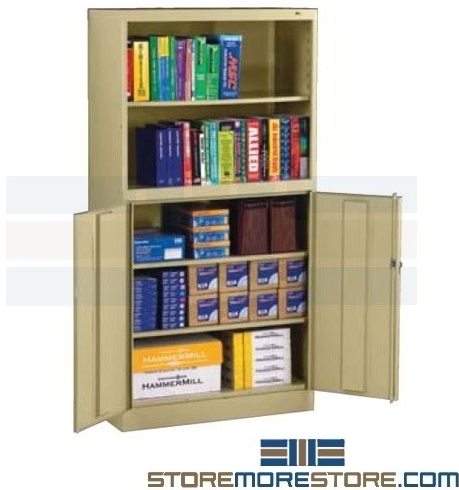 Tambour door cabinets can be purchased as individual cabinets or on space saving sliding track systems. The sliding track system gives you even more space savings because the one row of cabinets is attached to tracks and placed in front of a stationary back row of cabinets. To access items in the back row, you simply slide the front row over; it’s that easy to double your storage capacity in half the space! Sliding track systems are available in two-deep and three-deep configurations, depending on your business’ needs. 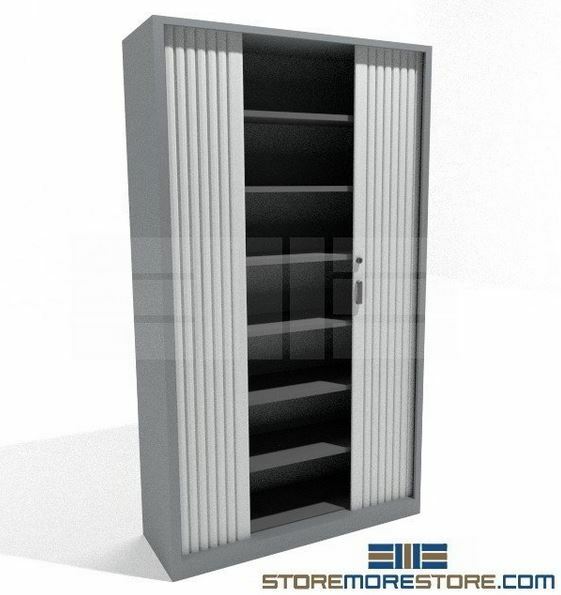 StoreMoreStore has both stationary and sliding track tambour door cabinets available online. If you need any assistance or have any questions, give us a call at 1-855-786-7667. Are you running out of office floor space to store files, paperwork, and records? Do you wish you could centralize file storage to make your office more space efficient and productive? 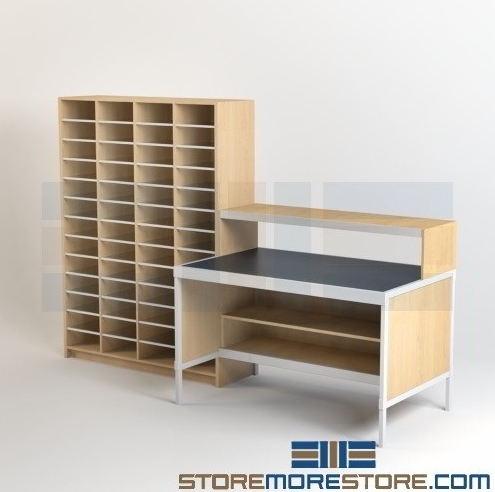 StoreMoreStore’s rolling storage system is designed to create space efficient file storage in your office to save floor space and increase productivity. If your office is ready to step up to a new and improved rolling file storage system, then check out our triple deep moveable file shelving. 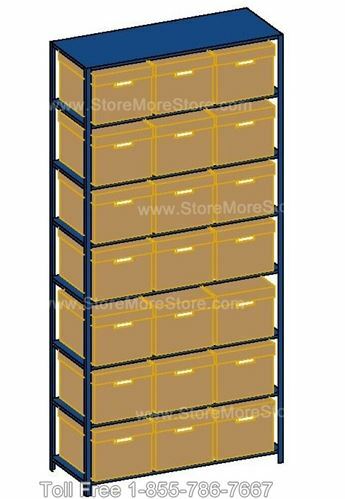 Triple deep moveable file shelving consists of three rows of file shelving. The front two sections of shelving roll back and forth on tracks, which allows you access to the back row of stationary file shelves. 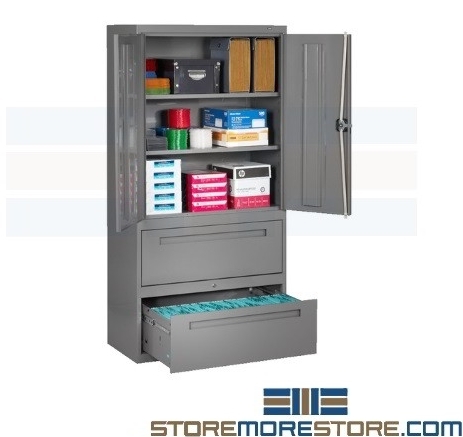 This rolling file storage arrangement has the benefits of increasing your storage capacity and centralizing your files, all in less floor space. 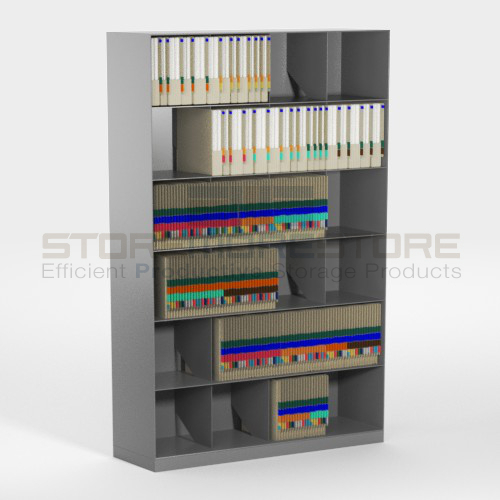 This triple deep moveable file shelving is modular in design and easy to operate. 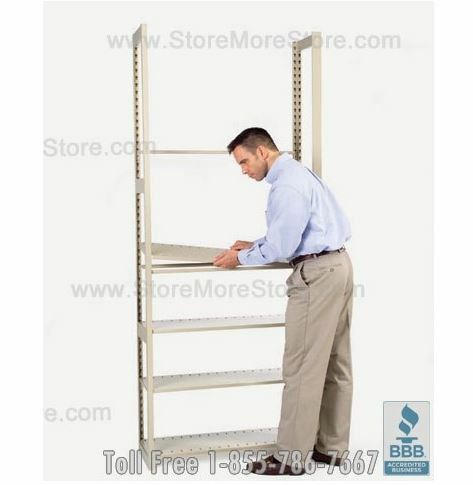 File shelving tracks and rolling storage carriages are heavy-duty, designed to ensure smooth rolling movement. 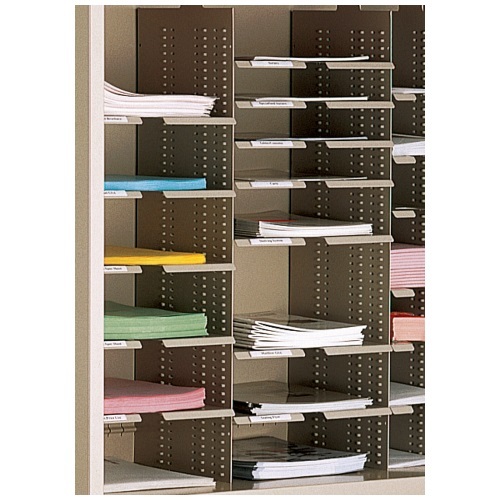 File shelves are easily adjustable vertically on 1-1/2” to accommodate files, record boxes, notebooks, or supplies. 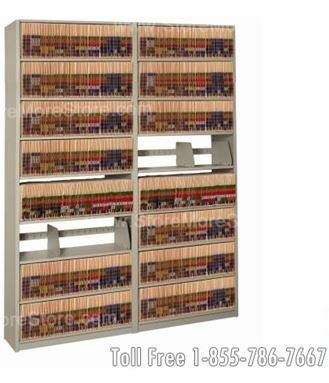 The moveable file shelving units are made in the U.S.A. and available in 19 different color choices at no extra cost. 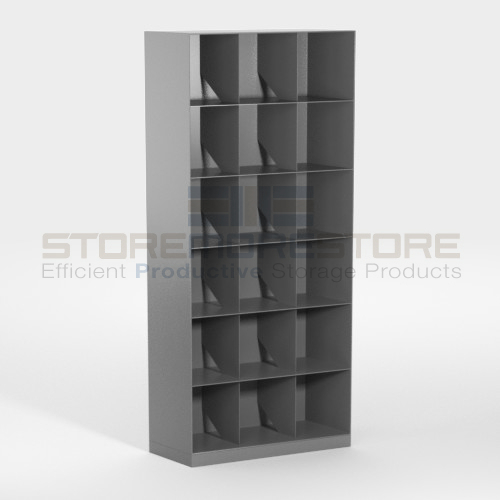 Ready to Order Triple Deep Moveable File Shelving? 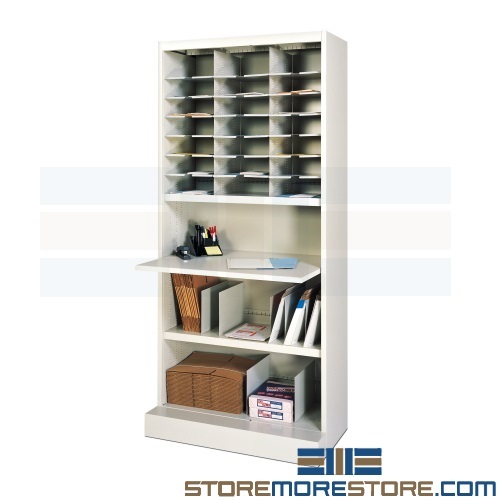 You can find our entire rolling storage product listing of triple deep moveable file shelving in legal, letter, and box sizes online at StoreMoreStore. Need help determining which rolling storage system will work best for your office? Just give us a call at our toll free number 1-855-786-7667 or send us a message. 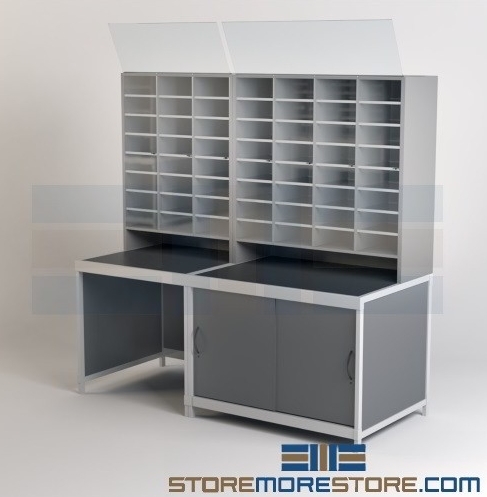 If you are looking for a unique design or smaller rolling storage system, we also have double deep moveable file shelving that comes in letter, legal and box sizes.